Prophet Emmanuel Chukwudi of King of Kings Deliverance Church has again prophesied ‘doom’ on President Muhammadu Buhari. Recall that Prophet Chukwudi, among his prophecies for 2017, had said President Buhari would die before 2019 ends..
“While it’s still early, seek the face of God for the sake of Nigeria for the sake of President Buhari, and save the situation. “But the Lord has even said that you will suffer due to your obstinate mind. “Unless one arises to save the president, he shall never rule beyond one term. “He shall certainly die in office, says the Lord, unless I am not God, says the Lord,” the prophet added. “They have vowed to make his government uncomfortable. Obama and other enemies of Trump are the ones behind it, and they are planning to remove him”, he claimed. 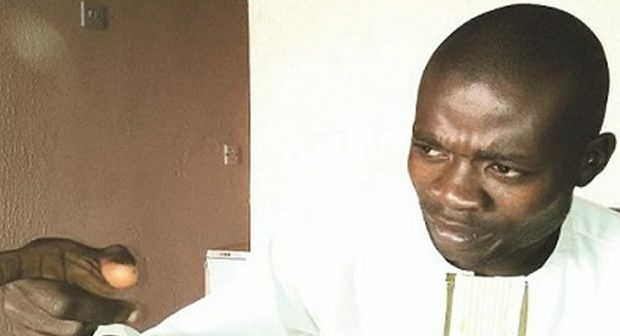 0 Response to "“Buhari Will Die Unless I Am Not Called By God” – Prophet Chukwudi Claims"